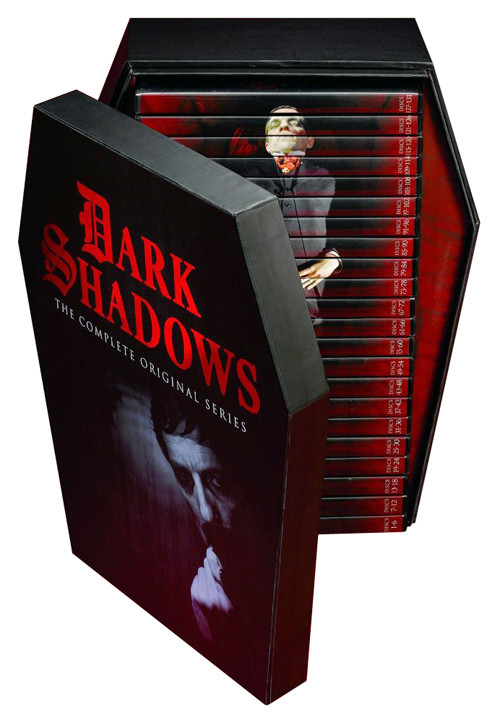 The Dark Shadows: The Complete Original Series DVD box set is now available for today only at an amazing 50% discount, saving over $300.00 from the recommended retail price. The 131-disc set contains all 1,225 original episodes in a coffin-shaped box. To order now, click here. Totally spectacular/chilly vintage Classic complete DVD set on DARK SHADOWS. Love it!!! !